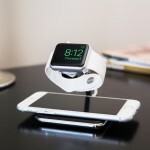 I’ve seen a lot of requests for a very inexpensive but nice Apple Watch band. Billed as replacement for the Apple Watch Sport Band, this one from eBay is not exactly the same, but I’ll go over the differences and you can decide if it’s worth your money. 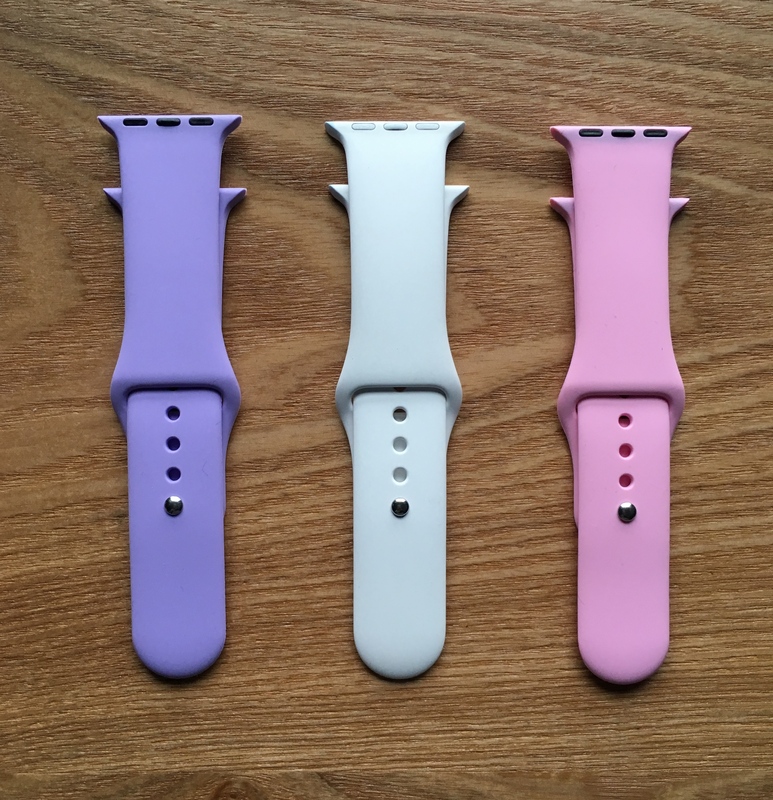 The white band is the genuine Apple Sport Band; the pink and purple are knock-offs. Upon opening the package, the first thing I noticed was that these bands look very much like Apple’s. Closer inspection revealed some definite differences, however. My Apple store didn’t have Sport Bands out to photograph, but the silicone cases are the same colors as their Sport Bands. The most obvious difference is that the colors I ordered are nothing like the similarly-named colors from Apple. 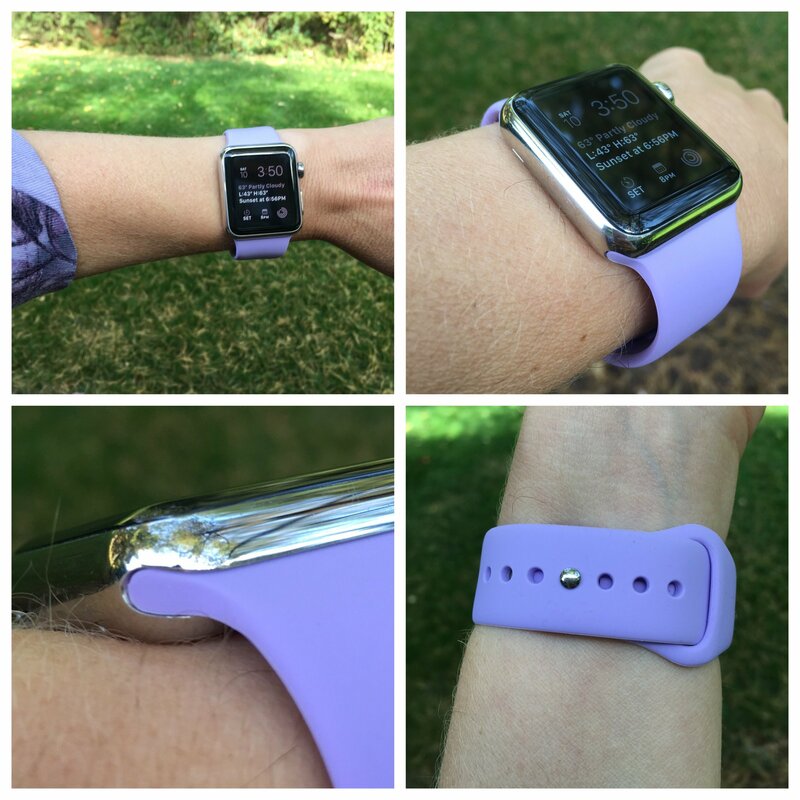 Their “purple” is much more of a true lavender than Apple’s sophisticated grayed Lavender shade. While I like Apple’s version, I actually like this shade even more. Their “rose” is really nothing like Apple’s Vintage Rose. 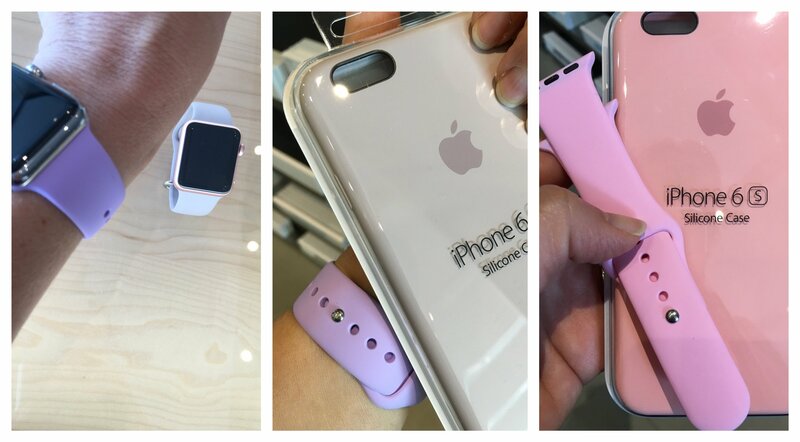 I’d call it a bubble gum pink, while Apple’s shade is almost peach in comparison. At any rate, this eBay seller doesn’t claim to have exact color matches, and they don’t even use the same color name for the ones I picked, so I can’t fault them for that. Outside of the colors I chose, the other shades actually appear to be closer matches to Apple’s shades. Many of them share the exact names. 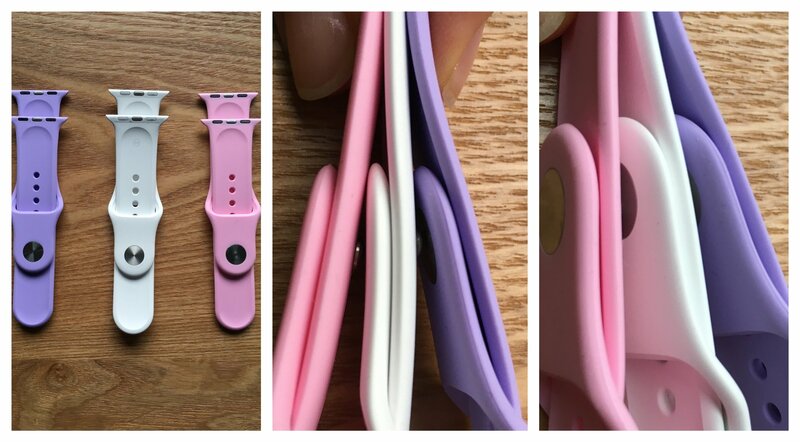 Still, if you’re looking for a perfect color match, I can’t say for sure that you’ll get it with these eBay bands. As soon as I took the bands out of the packaging, I could feel the difference. These bands are softer and floppier than Apple’s. It’s not necessarily a bad thing, actually, they are very comfortable to wear. But the difference in feel means that they are not made of Apple’s fluoroelastomer. So, if you have skin allergies or sensitivities, you may have an issue with these. I don’t have any issues with this myself, and I’ve been wearing these bands for workouts and everything. I have not observed any stickiness, nor have my bands attracted dirt or debris. Another difference you’ll notice if you look closely is that there is a tiny visible seam along the sides of these bands that Apple doesn’t have on theirs. That’s a minus for these bands, but it is so subtle that you really have to look hard to see it. What everyone really wants to know about is fit, and I found the fit on these bands to be flawless. I could see no difference in fit at all, except perhaps they don’t slide in exactly as smoothly as Apple’s, but I’m being very critical here. Once in place, I couldn’t tell the difference in fit between these and Apple’s Sport Bands. You do have to choose ahead of time whether you want the S/M or the M/L; you don’t get both like you do with Apple. This wasn’t a problem for me since I’m definitely a S/M but it may be a hindrance if you’re on on the borderline. 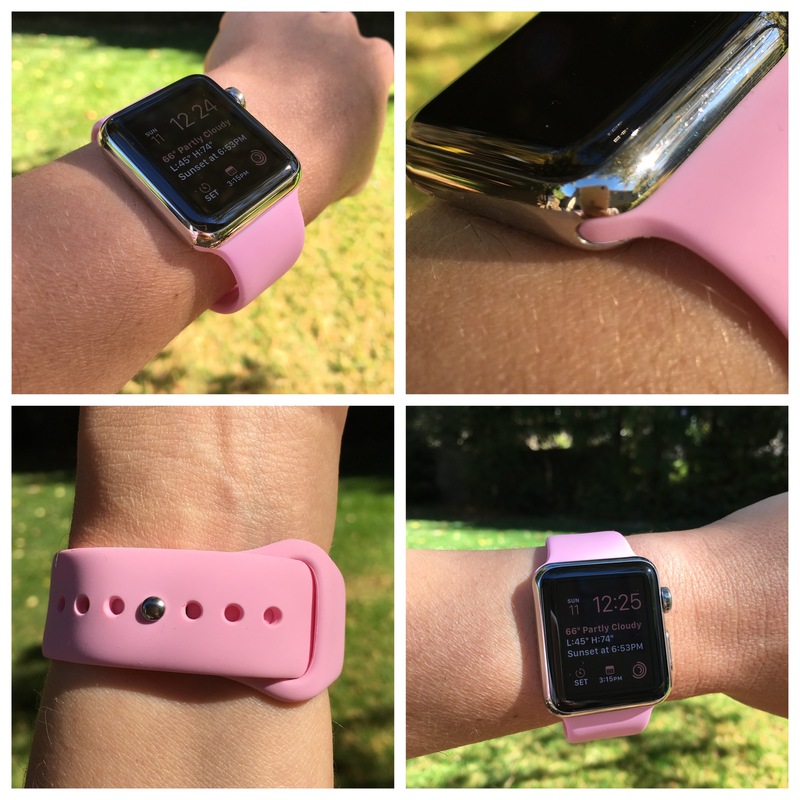 I use the same hole on this band as I do on my S/M Apple band, if that helps. 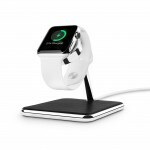 These bands from eBay are a fantastic cheap alternative to Apple’s own Sport Bands. As long as you’re aware of possible big or small differences in color, slightly visible seams, and the softer silicone material, you’ll be quite happy with these knock-offs for 1/5 the price. You can find them on eBay in 16 colors for $9.99 apiece; get 10% off if you buy two or more.